Ever wonder which companies are looking for H-1B workers? Now you can find out. The U.S. Customs and Immigration Service (USCIS) launched an H-1B Employer Data Hub to provide information to the public on employers petitioning for H-1B workers. The data hub allows the public to search for H-1B petitioners by fiscal year (back to FY 2009), NAICS code, employer name, city, state, or ZIP code. This will give the public the ability to calculate approval and denial rates and to review which employers are using the H-1B program. Data for individual fiscal years is available to download, as well. Employees might also be interested in knowing which companies are looking for H-1B workers. The USCIS will provide cumulative quarterly updates and annual releases of the data and it anticipates updating the H-1B Employer Data Hub quarterly. For example, data for the first quarter (October-December) of a fiscal year will be provided in April of that fiscal year. The H-1B program allows employers in the U.S. to temporarily employ foreign workers in occupations that require the theoretical and practical application of a body of highly specialized knowledge and a bachelor’s degree or higher in the specific specialty, or its equivalent, such as technical professionals. H-1B visas are capped at 65,000 with an additional 20,000 available to individuals with advanced degrees from the U.S. A computer randomly chooses 20,000 H-1B visas under the U.S. advanced degree exemption, known as the master’s cap. After that, those who are left out are added to the group with undergraduates, and another 65,000 visas are awarded. As of April 5, the USCIS indicated that it received a sufficient number of petitions projected as needed to reach the congressionally-mandated 65,000 H-1B visa regular cap for fiscal year 2020. The USCIS’s final rule amending regulations governing cap-subject H-1B petitions, including those that may be eligible for the advanced degree exemption, became effective April 1. 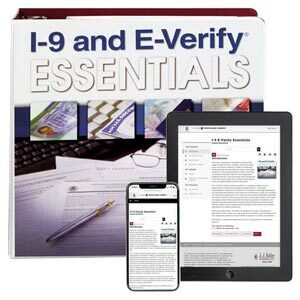 The final rule reverses the order by which USCIS selects H-1B petitions under the H-1B regular cap and the advanced degree exemption, and it introduces an electronic registration requirement for employers seeking to file cap-subject H-1B petitions. Therefore, it gives preferences to those who have completed their post-graduation degree course from any U.S. educational institutions. While the rule is effective, the electronic registration requirement will be suspended for the FY 2020 cap season.